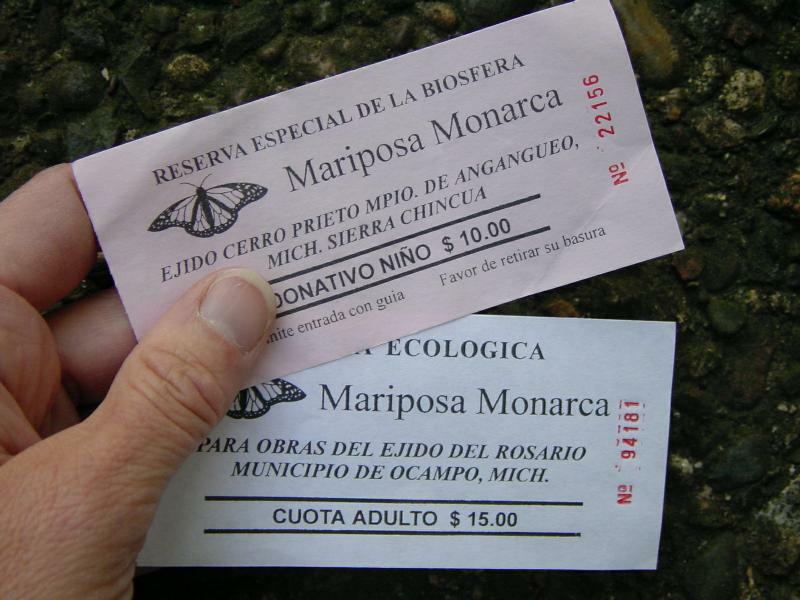 Ecotourism in the Monarch Sanctuaries: How Many Pesos to Visit? How Many Pesos to Visit? The local people who own the land in the sanctuaries depend on income from tourists. These are entrance tickets for visiting the Sierra Chincua sanctuary. How much does it cost to visit? How much does it cost for a child to enter the sanctuary? For an adult to visit? Check the current exchange rate for Mexican pesos using the XE.com Currency Converter. Convert the pesos to both U.S. and Canadian dollars. How does the cost of visiting the sanctuaries compare to the cost of going to a movie?